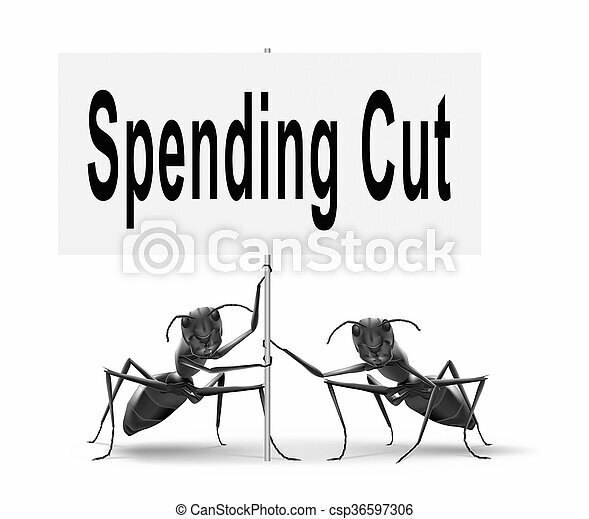 Spending cuts. 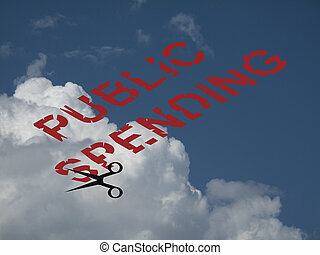 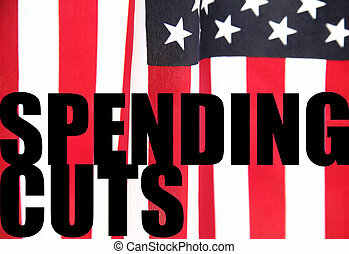 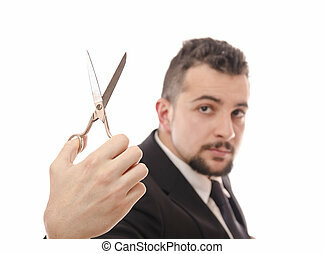 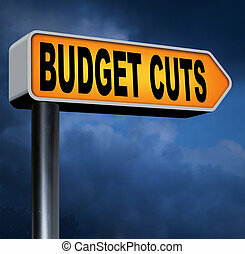 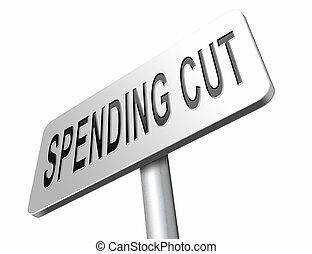 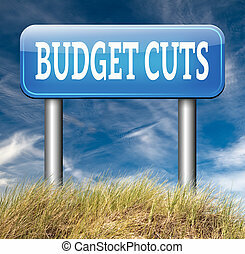 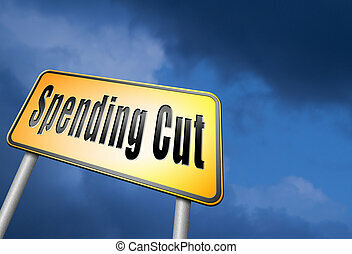 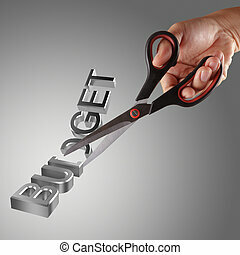 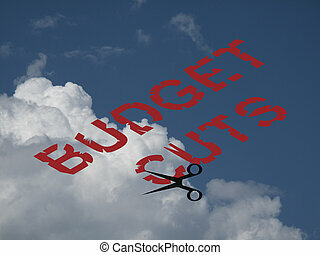 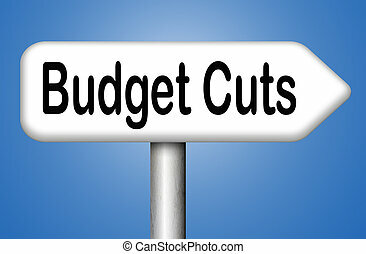 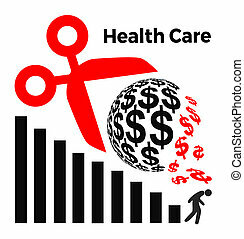 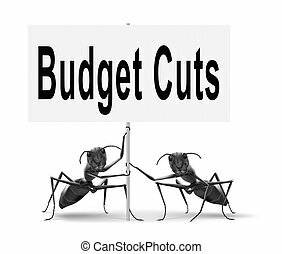 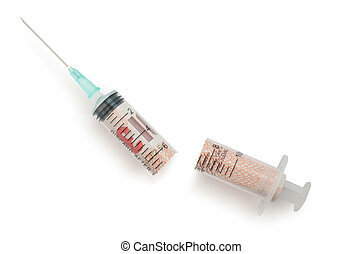 Spending cut lower budgets and public spendings cuts economic recession. 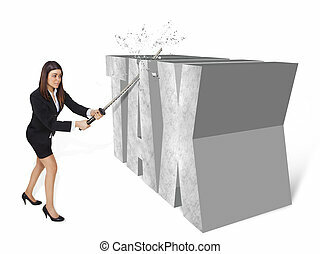 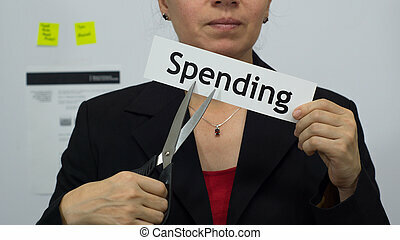 Female office worker or business woman cuts a piece of paper with the word spending on it as a spending reduction business concept. 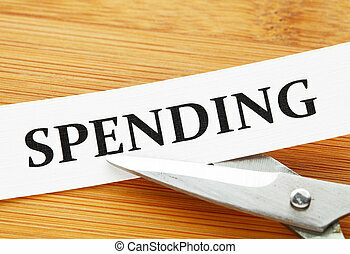 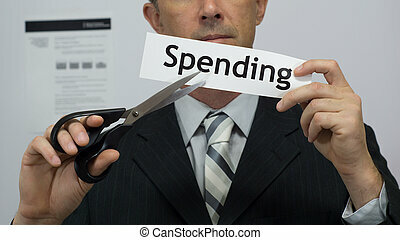 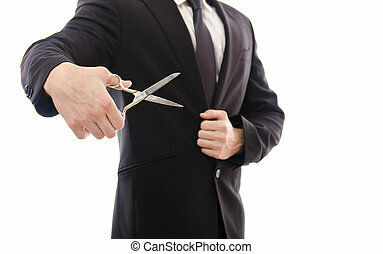 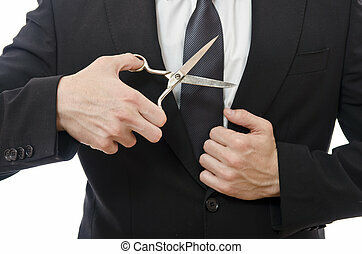 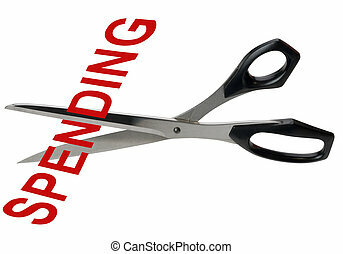 Male office worker or businessman in a suit and tie cuts a piece of paper with the word spending on it as a spending or expense reduction business concept. 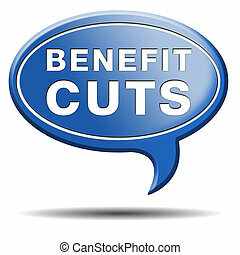 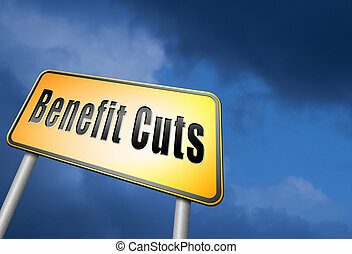 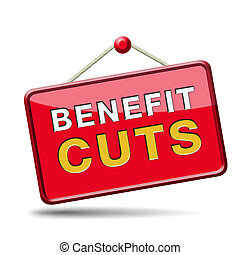 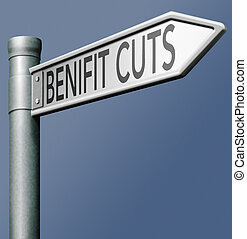 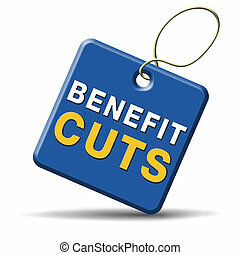 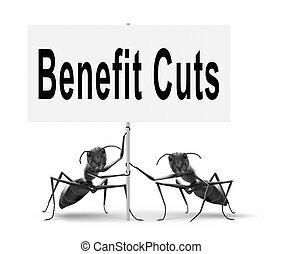 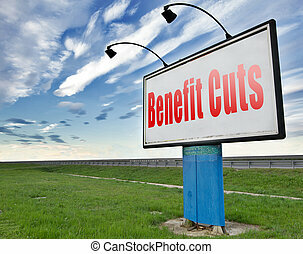 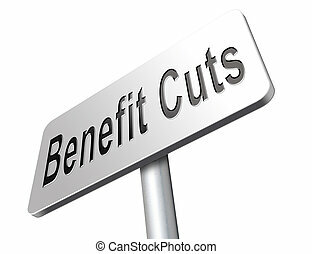 Benefit cuts tax cut on housing child and social works reduce spending, road sign billboard.